Like everyone else I know, I’m loving this expansion. Also like everyone else I know, I’m addicted to my garrison. I want to do crystal dailies and heroics every day, but with all the garrison chores and missions and alts that need garrisons, I haven’t done them as regularly as I should have. 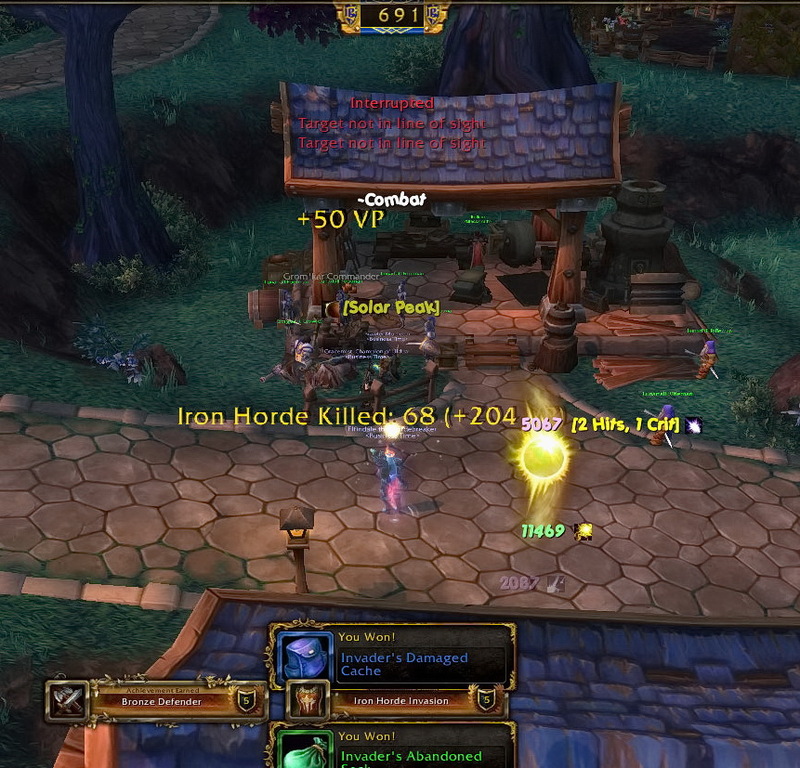 But I haven’t ignored them completely either and I do have my ilvl up to a decent 623. Partially due to the fact that on Sunday my buddy More invited me and Grace to help him with a garrison invasion and not only did we get “Silver Defender” (yes, the screenshot shows Bronze but we got both) but I somehow got an epic 645 staff in my loot. Amazing. I’ve still got quite a few pieces around the 605 – 610 ish range, such as bracers and belt and chest which need to be upgraded. And that’s a bummer because what I’d really like to upgrade are my boots. They’re ilvl 630 which is okay for now but damn my toes are cold and I’m afraid they may not be too protected. 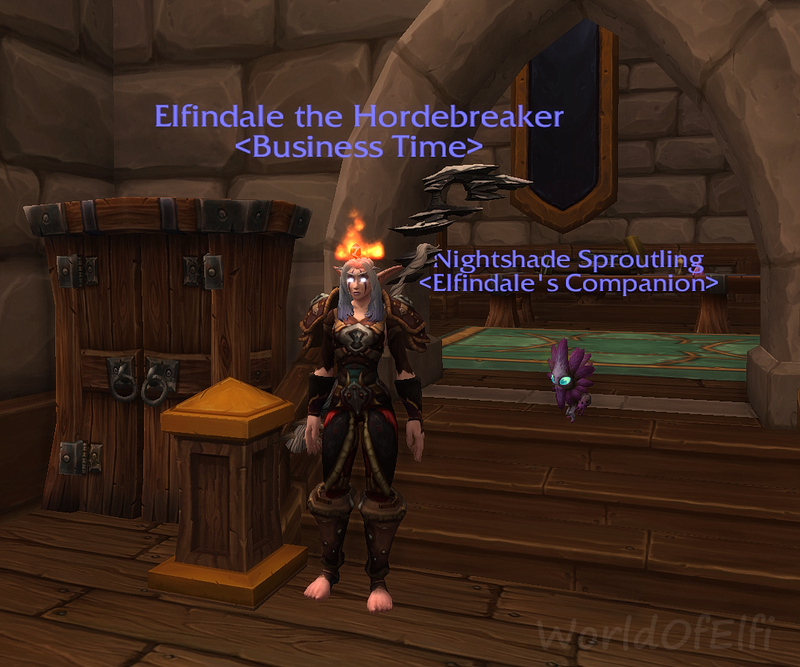 Also, my new pet Nightshade Sproutling is freaking adorable. I wasn’t really doing enough of the garrison invasions but after one of my guildies mentioned he has almost 40 of them under his belt thus far I started jumping in them more. That’s the competitive side of me haha .. anyway looks like your went well.